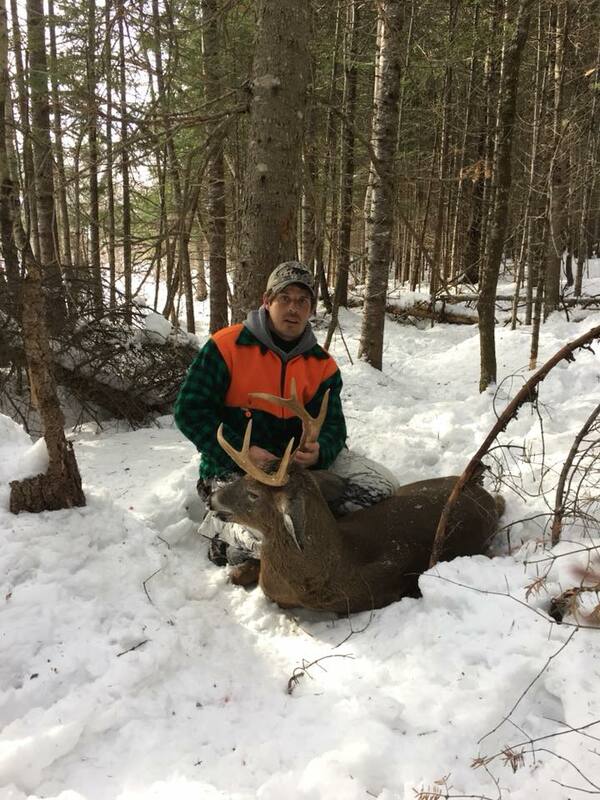 Are you looking for a chance to score on a monster whitetail in the beautiful North Maine Woods? Look no further! We offer something for everyone, no matter what your budget may be. 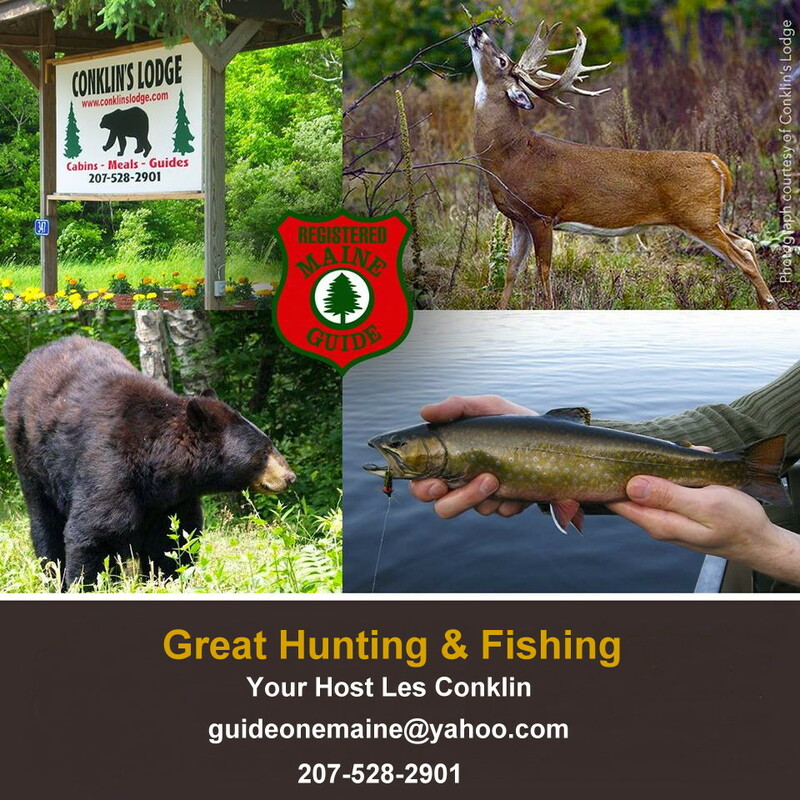 Enjoy clean comfortable lodging, experienced, dedicated guides and thousands of acres of non posted land for you to hunt. 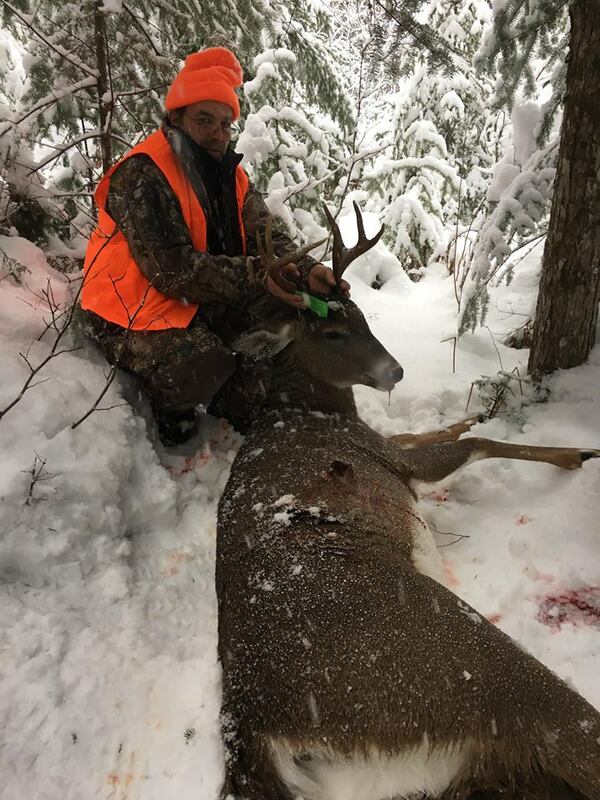 All of our deer hunts are 6 nights / 5 days, arriving on a Sunday and departing the following Saturday. We hunt 4 full weeks in November and offer the following packages. Our bunkhouse cabins have electricity, thermostatic LP heat, wi-fi, cable TV daily cleaning service. Super clean bath houses are located close to the cabin. Each cabin has a coffee maker but no cooking is available or allowed in these cabins. Bring along your towels, sleeping bag & pillows. There is a nice deli located 1 mile from lodge that is open from 4am to 9pm daily. The price for these cabins is $45 per night per person with a minimum of 2 persons. Guides available upon request for $225 a day. Semi - Guided ( maps and suggestions on areas to hunt ) $500 per person. Fully Guided ( Guide with you at all times including transportation to and from hunting areas ) $1000 per person min 4 persons.